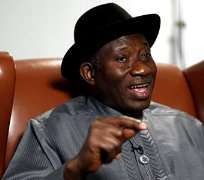 President Goodluck Jonathan will fly to New York on Saturday to participate in the 68th Session of the United Nations General Assembly which is expected to focus on identifying parameters for the post-2015 global development agenda. President Jonathan who is also scheduled to meet with President Barack Obama of the United States in New York, will join other world leaders for high-level discussions on ways and means of building on the progress made thus far towards achieving the millennium development goals that were agreed in the year 2000. The President and members of his delegation will participate in other high-level events focussing on women, youth and civil society, human rights and the rule of law, as well as the use of information communications technology for development. The Nigerian delegation led by President Jonathan will also contribute to thematic debates on the role of partnerships; how stable and peaceful societies can contribute to development; and the role of potable water, sanitation and sustainable energy in the post-2015 global development agenda. Before delivering Nigeria's statement to the 68th Session of the United Nations General Assembly which will be broadcast live by the Nigerian Television Authority on Tuesday, President Jonathan will on Monday take his administration's drive for greater foreign investment in Nigeria to the famous New York Stock Exchange where he will be honoured with the opportunity of ringing the closing bell for the day. President Jonathan who will be accompanied by the First Lady, Dame Patience Jonathan, representatives of the governors' forum, representatives of the National Assembly and several ministers will also confer with the United Nations Secretary-General, Mr. Ban Ki-Moon and hold bilateral talks with other heads of state and government. The President will host a reception for the Nigerian Community in the United States before leaving New York for Abuja on Wednesday.